K read a handful of books over the holiday, both in audiobook and in print, and here are some of the reviews! This series of Dissect is dedicated to Kanye’s album My Dark Twisted Fantasies. Dissect does long form. complex analysis on the popular hip-hop of today. His first season dealt with Kendrick Lamar, and he brings information and history from a variety of sources to give a new found understanding of the music and the style. His critique is excellent and well-produced despite him being just a guy on his own. This podcast gives a half an hour of morning news (often focused on one or two topics) from the NYT. The episodes that I enjoyed the most over the break, though, were the year in review episodes. They devoted one week to revisiting their year’s stories and one episode to This Year in Sound, which was phenomenal. This series deals with consent and the grey areas that surround it. She talks about her experiences with men at various ages, with being pushed farther than she wanted, with her discomfort with the word no, with her partner’s views of how they were with her. It’s short and has a beautiful story arc that I couldn’t stop hearing. I had no idea how incredible this woman was, and how much she brought to the law through her work. 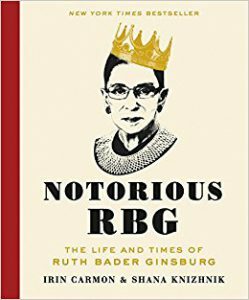 I had become interested in her with another podcast (More Perfect, by Radiolab) talking about how she argued her cases in a way that 9 men would be keen to support, and followed up with this book. It was fantastic and full of anecdotal stories. If you are interested in the space race and the remarkable stories that built it, this book would be for you. The man who designed and ran the Sputnik exploration was such a personality, full of temper and fire and passion for the shiny satellite that he had designed. Mary Roach is always a favorite, with her well-researched and authentic information texts. She talks about cadavers as donations for medical science and research, through the death business, with pets, and in other research. 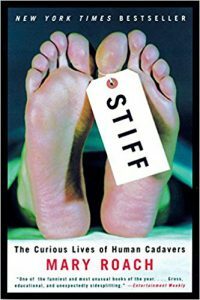 There are pieces about the history of the cadaver business, and about how it became what it is, and the whole book is interesting, if at times gory. Sweet and delightful, this book is set in the villages of Italy, with artwork and fantasy that moves the story line. 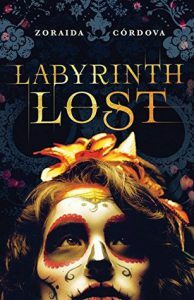 It would be perfect for a young reader interested in reading something of fantasy that doesn’t shy away from the dramatic. 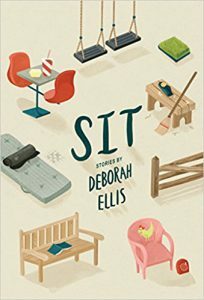 Each of these stories starts with a child sitting. One sits at a diner watching her family argue silently. One takes a seat at a park bench avoiding her abusive parents. One walks through the radiation to save her mother’s pet. It was heart-wrenching and diverse and full of beauty. 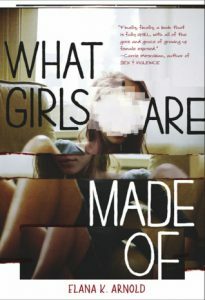 The front cover of this book has a mention of the “gore of grace of growing up female” and I find that to be remarkably accurate of this book. At times, it was messy. At times, you didn’t understand what was being told or why. But the end hits in a certain way that makes you appreciate the story as a whole. The girl at the center is a mess, full of mistakes. Her mother is a similar and different sort of mess. Her friends are the same. And it is not all sugar and spice and everything nice. Recommended to mature YA readers. This book was on one of the top lists and I decided to pick it up for its diversity and interest. The lead of the story is a bruja, a female witch from a long line of Mexican witches, and she is about to have her Death Day, where she will welcome the members of her ancestry to protect her and watch out for her. But, of course, nothing will be so easy with all the power she wields, and she may find herself in an alternate realm protecting them from evil. Recommended for any YA reader. This book was also on several lists as a must-read non-fiction book. I found it to be my favorite read of the holiday. The story is written by a lawyer, a woman with a strong mind and long family history. She talks about her belief against the death penalty, her will to fight it at any cost, her opposition to the very idea of it and where that comes from. She talks about her childhood, which had exposure to both good things and bad things. And she talks about the case she worked on as a law intern: where a man with a history of pedophilia strangled and killed a boy in a small town in Louisiana. Mostly, though, she talks about the intersection of all of those things and how they overlap to a complex and working narrative. Recommended only to adults or mature readers. This book was a stunning non-fiction read, full of suspense and detail that was unexpected. This book’s catalyst was a crime, between two teens: one a young black man, and one a gender fluid white person. 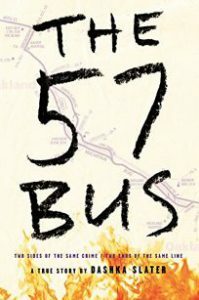 On the bus, he sets their skirt ablaze, and it results in a hate crime. 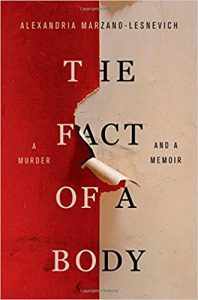 But there is so much more to the story, and this book fleshes out the lives and worlds of both of these people and where they come from.